The Euro (€) is the used European and Amsterdam Currency. 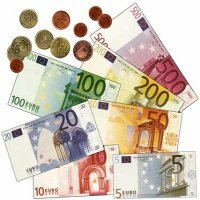 The Euro is used in most of the European countries, like France, Germany, Spain, Austria, Italy, Belgium, Finland and more. One Euro is divided into 100 Euro cents and there are 8 different coins: 2 Euro, 1 Euro, 50 cents, 20 cents, 10 cents, 5 cents, 2 cents and 1 cent. However the 1 and 2 cents are no longer used in the Netherlands, so all the prices end with 0 or 5. The coins have on one side the Euro symbol and denomination and the other side is the national side of the distributing country. It contains an image that is chosen by that country. This makes the Amsterdam Currency interesting to collect! The bills consist of 500 Euro, 200 Euro, 100 Euro, 50 Euro, 20 Euro, 10 Euro and 5 Euro. But the three biggest bills are not used or accepted in many places. There are plenty of ATM's throughout Amsterdam where you can get the Euro. It distributes 50 and 20 euro notes. To get money from an ATM it is mostly best practice to use your debit card for it. Most banks charge less for foreign money transfers from a debit card then a credit card, but if you have to pay (like in a restaurant) you are mostly much better of when you pay with your credit card. 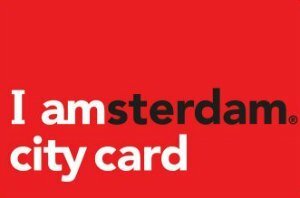 Another option to get the Amsterdam Currency is to use one of the many Money Exchanges. These are mostly small offices on the streets and they don't offer the best rates. One of the most trustworthy is the official GWK bank. They have offices at the Central Station, the main hall of Schiphol Airport and at Leidseplein. They offer good rates and are open 24 hours a day. Try to avoid the little offices on the streets with "money exchange" or "currency exchanger". They have nice ads, but don't get fooled, they mostly don't offer good rates. Don't exchange money at hotels, bars or coffee shops and of course never with a person on the street selling Euros. Always put your money away before going on the streets. Preferable use money belts, to keep the most money on your body and difficult to reach. Traveler checks are a safe alternative, so that you don't carry a lot of cash and the checks are insured. So now you know everything about the money. But what about the different NEIGHBORHOODS of Amsterdam? Do you want to go to the Jordaan or visit the Pijp?